Home » attraction » Banten » 10 Marine Tourism Activities in Banten, You Must Visit! 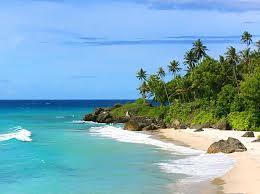 Banten is part of Java Island section West that has a natural wealth in the form of the beach and the islands. So, Banten really suitable for tourist destinations, especially for the tourist who likes marine tourism. Although that not much know about Marine Tourism activities in Banten, however – actually there are much places that can be visited. Here are a few interesting places as Marine tourism in Banten for you to know. 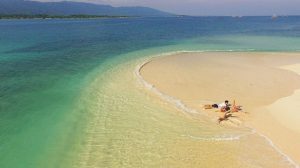 One of the marine tourism in Banten that interesting to visit is Tunda Island located in the north of Banten. This island is part of best waterfalls in Java Island and in administration located in Serang regency, Banten. Has an area of 300 hectare, approximately. This Island really suitable for used as an interesting attractions. To go there, tourist can go to Karangantu pier or Karang Hantu. From there, visitors will cross with a journey time of 2 hours. Tunda Island is an inhabited island. The local people of this island live in Wargasara village. The local people are famous of their charm. The interest thing of this island is the beauty of view. If you are lucky, you can see the whale that usually surfacing. 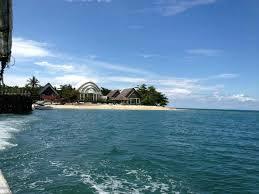 The other marine tourism in Banten is Handeuleum island. This island is part of Selamat Datang gulf and the largest island on that gulf. the breadth of reach 200 hectares, approximately. Handeuleum island included in the National Ujung Kulon Park area. The Location is in Padenglang regency and can be accessed with a ship from Sumur district. It takes about 1 hour for accrossing. Visitors can accross from Carita beach on 2 hours, approximately. This attractions is fit for tourist who are love an adventure. Because there is a river that looks like Amazon rive that need to be explored. Visitors can camp for enjoy the nature. However, there is a accomodation. Tiga Island also called as Mojan esar island. Location of this attraction is in Sunda strait area, but in administration this island is in to Serang regency, Banten. Visitors who want to cross into there could be heading to the port of Krangantu. The beauty of this island is really captivated, especially it is because of their sharp reef over there. So, tourist is not allowed for swimming on the beach. This Island almost have no white sand. But, visitors can still enjoy the tourism activity on this island with different way. For example, you can enjoy water games that provided there like jetsky, canoes, or banana boat. 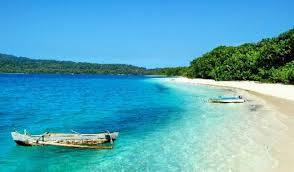 The next marine tourism in Banten that also interesting for come is Badul island. 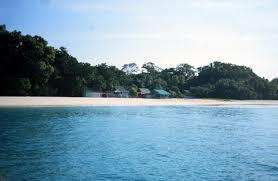 Badul island is the smallest island in National Ujung Kulon park. The location is not far from Sumur village. This island is very reachable. A boat or spead boat can be used for accrossing this small island. Visitors can get there to enjoy the atmosphere. The unsteresting from this island is the existence of white sand that is very board in the middle of the sea. The sea water is also very clear. Under the water, there are lots of coral reef that still maintained until now. Visitors can snorkel to enjoy the island marine park. It could also be an alternative besides Snorkeling in Bali may just far enough. Do a tourist activities in marine activities is unlimited. 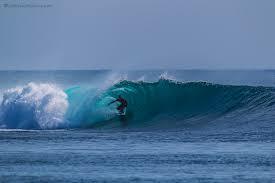 If you likes to surfing, so Panaitan things to do in Padar Island is may be appropiate for that thing. 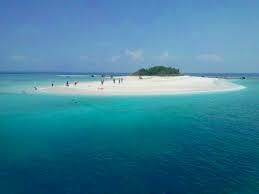 Panaitan island is on the west of Java sea, that is near to Ujung Kulon. This island is included into Padenglang regency, banten in administration. Between of Java island and Panaitan island is called Panaitan strait. Intersting things from this island is a place that fit for surfing. This island is also inhabited by protected wildlife. So visiting this island will gives a natural impression for visitors. 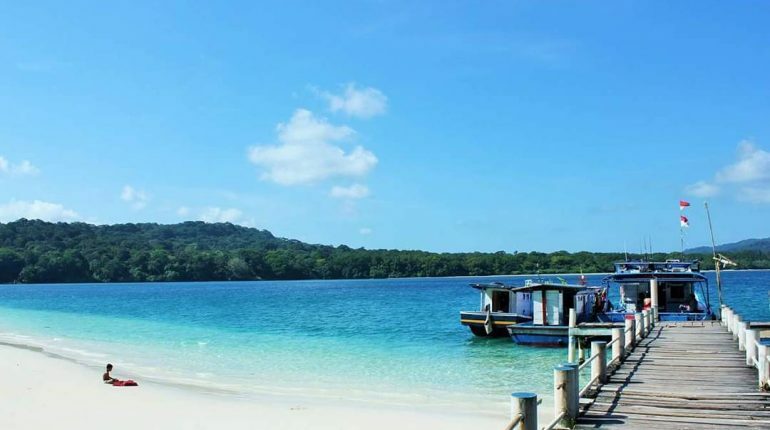 Umang island is the next island that perfect for marine tourism activities in Banten. 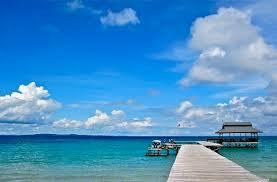 This island is in Padenglang regency Banten and the position near to Ujung Kulon. It has an area of approximately 5 hectares, this island is directly adjacent to the Sunda Strait. Interesting thing from this island is the existence of sport facilities and water games that can embody marine activities for tourists. It is because the waves on this island is safe enough for water activities like banana boat and jetski. Visitors also can snorkling, spa, aroma therapy massage, and so on. Visitors who likes fishing also can do some activities near to the pier. Sangiang island is inhabited island. At least, there are 40 families who lives on this island, approximately. Tourists who want to go to there could be heading to Cilegon, the go to Anyer, and across from Paku Anyer port. Interesting thing form Sangiang island is the existence of the unspoiled beach. This beach has a white sand, and the water also still clear and blue. Visitors can go to diving area for diving. marine parks that are all around this beautiful island, with coral reefs and various kinds of fish. Because of not much people come, so for tourist who come – can really enjoy the nature over there. The next marine tourism in Banten is Oar island. This island is near to Sumur village. You can go to Sumur village for accross to this island with a boat. It takes 15 minutes trip, approximately. So up, visitors are greeted by a beautiful island with white sand. The sea water is so clean that will makes the tourist can explore some fun activities. The most recommended thing for enjoy the beauty of this island is diving or snorkeling. Both of that activities will make the tourist enjoy the underwater garden of Oar island freely. Here more best place: Things to Do in Banten Indonesia (Natural Spots). Name of this island may be often mentioned as one of the beautiful island for come. Peucang island is in Panaitan strait and still into Padenglang regency. 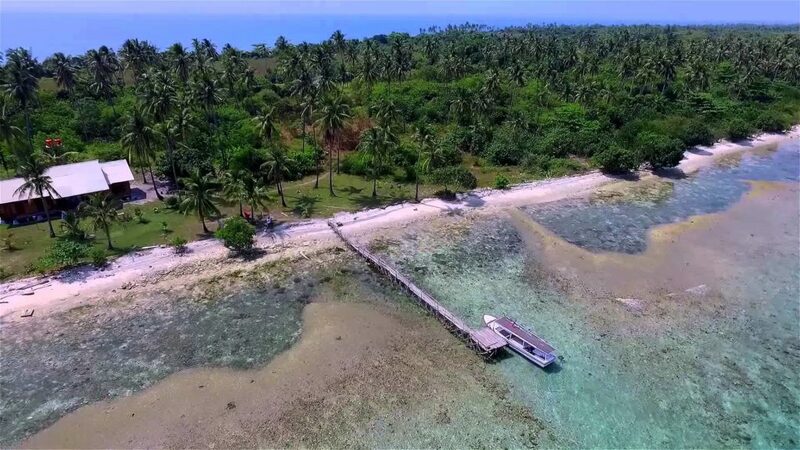 An area that reaches 450 hectares, this island can be accessed by same route with access to Umang island. It takes about 3 – 4 hours trip, approximately. The advantages of this island is the status that goes into a world heritage site UNESCO. It is because there is a convertion from National Ujung Kulon park. That status will made visitors increasingly flock to this island. There is also the one-horned Rhinoceros. 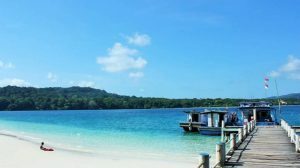 Here more best place: Things to Do in Ujung Kulon – Backpacker Trip in Banten. This island is in Padenglang and one of the island that located on the border or outermost islands of Indonesia. Visitors who want to go- can go to Binuangen pier. It takes 2 hours or more – trip. This island is quite far but has a beautiful view. Tinjil island is the island with the white sand and green plants on the middle. There are the long-tailed Macaque. Visitors can enjoy the breezy wind, white sand, and can relax at the seaside gazing the blue sea. So, this is som explanation marine tourism activities in Banten that can be visited as an alternative attractions around West Java. Hope this article will useful for you guys, bring your camera and catch the view. Happy holiday.